It’s great the newborn screening should be improved, on thing I would like to raise that is the Autism detectable by the newborn screening! Have any medical invented for detecting the autism within baby’s first few months! Please state something about it. There are lots of parents worried with their babies with autism. 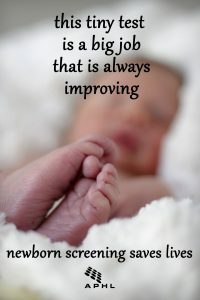 Thanks for your nice post regarding newborn screening.